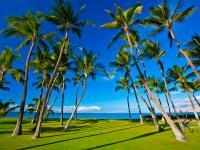 South Maui's Kihei is suited for vacationers seeking a relaxing time on the beach and amidst nature. The variety of beaches, opportunities for water sports and dramatic views of other regions of Hawaii, including Kahoolawe, Molokini and Lanai. Vibrant green seaweed lines some beaches, which makes it a perfect coastal scene with honey-warm sand and foamy surf rolling in, with West Maui in the distance. Our Kihei luxury rentals are a magnificent seaside vacation spot for sheer indulgence with no concerns about time. The accessibility to other activities, shopping and dining make it a very appealing, and sunny, location to stay while visiting Maui. Six miles of beaches and places for snorkeling, swimming, surfing, kayaking and picnicking are available from a Kihei luxury rental. Participate in a variety of activities at Kamaole Beach Parks I, II and IIIswimming, picnics, boogie boarding, kite flying and volleyball. Keawakpu Beach is the sunny day beach that is perfect for swimming a little and relaxing a little. Makena Beach, also called Big Beach, is an ongoing photo opportunity, perfect as a setting and for picnics, hiking, swimming, snorkeling and body boarding. Birding and boating are also big activities in Kihei, with the National Wildlife Conservation District and nearby Maalaea Bay for whale watching. Molokini is also a day trip every snorkeler will want to experience. 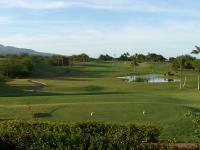 Golfers enjoy this region on Maui, with world-class championship courses. After active days on the golf course or simply time spent on the beach, take advantage of the resort and day spas in Kihei, which will provide a soothing finish. 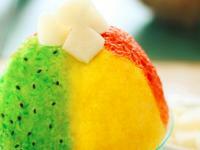 From shave ice to steaks, just about every type of cuisine is available in Kihei, so enjoy the seaside cafes, romantic dining and roadside plate lunches. Take advantage of the fresh seafood at every turn, Asian fusion and local favorites that are created with tropical fruits and produce. Listen to live music at night and find lively local spots to unwind after a day in the sun. Kihei's farmers' market is a weekday market at the Suda Store parking lot, perfect for gourmet cheeses, fruits, vegetables and more for that perfect night at your vacation rental. Cocktails at sunset should be a relaxing ritual after a day on the golf course or after a stroll on the beach at dusk. Following should be a hearty steak or new American cuisine at a bistro. Kihei and Wailea eateries are going to add up to numerous dining experiences. Drug stores, small local markets, art galleries and village shopping centers are located throughout Kihei and Wailea. You'll find the convenience and grocery stores for the basic items you'll need and nifty boutiques you can meander through for everything from quilts to flowers. 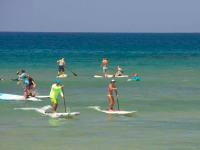 Kihei also has sports gear for snorkeling and other water sports.